Ads are subject to review and posting deadlines. 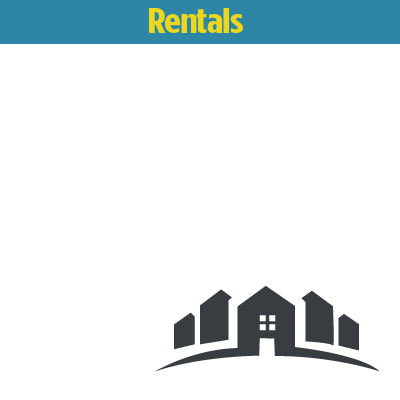 Do you have apartments or single-family homes for rent in Berks County, outside the city of Reading? The Berks County Housing Authority's Housing Choice Voucher Program is looking for landlords to rent apartments and homes to low and moderate - income families. 200 BLK. WALNUT: Across from Goggle-works. Very nice 2nd flr effic. BR, kit. & bath. $525/mo. 000 700 blk. N. 11th St.
1 BR, 1st flr., freshly painted. Section 8 welcome, $630/mo. 484-363-1527 000 700 blk. N. 11th St. MINERAL SPRING RD.1st flr. 1 BR, priv. deck, $600 incl. W/S/T. Cent. air, lndry on site, off st.
1st flr. 1 BR, priv. deck, $600 incl. W/S/T. Cent. air, lndry on site, off st. prkg. No dogs. 610-655-7896 MINERAL SPRING RD. SINKING SPRING - 2 BR on 2nd flr. $730. Incls. W/S/T, W/D hook-up. Off st. pkg. Bsmt storage. Sinking Spring: Large1 BR, Hardwood Floors, Carpet, Porch, Fridge.Heat Incl. Avail. Now. $750-$800. 1 BR, Hardwood Floors, Carpet, Porch, Fridge. KENHORST AREA EFFICENCY: All utils incl. No pets. $650/mo. Call 610-781-0106 lv msg. EFFICENCY: All utils incl. No pets. $650/mo. 1468 N 10th: 2 UNITS1 BR, 2nd fl. frt. + strg, $5951 BR, 2nd flr. rear, $575Both W/S/T & HEAT incl. LARGE 1 BEDROOM, next to Genesius Theatre. Restored, Carpet, Refrigerator. $540-$590. Call 610-693-5953. LARGE 1 BEDROOM, next to Genesius Theatre. Restored, Carpet, Refrigerator. $540-$590. Call 610-693-5953. Detailed Renovation W/W, etc. $550/mo. FLEETWOOD: 3rd flr. Open kit./LR, studio. 1BR off-st parking, deck, C/A. No pets. $850 +utils. FLYING HILLS: 3 BR, 2½baths, lg. liv. area, eat in kit., walk out bsmt. All applis. $1,550 + sec. WYOMISSING 3 bedrooms, 2 baths, central air, cathedral ceiling. $1,450/month. No pets. 3 bedrooms, 2 baths, central air, cathedral ceiling. $1,450/month. No pets. 610-373-0899. Furnished efficiency all utilities inc. $695 a mo. 831 N. 10th St.: 3rd flr. 1 BR. $625. Ht/HW/W/S/T incl. 610-750-7690 831 N. 10th St.: 3rd flr. Office/Comm'l. Space. 1,000 s.f., near outlets. $750 per mo. wkly/mnthly - Starting at $95/wk. Cable/WiFi avail. Penn Werner Hotel Wrnrsv'le (484) 529-1435 or (610) 678-2765.
and no information in such site has been endorsed or approved by this site.